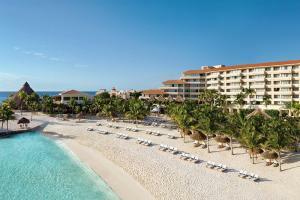 Just south of Cancun, Riviera Maya is famous for all-inclusive resorts, world class beaches and fine-dining. 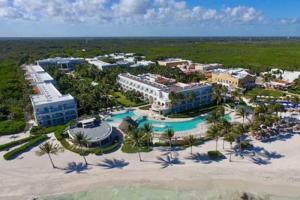 Luxury villas and botique hotels dot its pristine coastline as well vast jungles and exquisit archeological sites such as Tulum on the coast, and Chichen Itza and Coba located inland. Enjoy a relaxed spa vacation or try some of the numerous activities such as guided jungle tours, snorkeling, scuba diving and more. 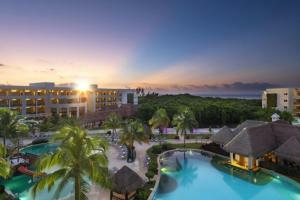 Unwind with upscale resorts, Mayan spa treatm ents and the charming boutiques of Playa del Carmen. The archaeological wonders of Tulum and Chichen Itza make for memorable excursions. 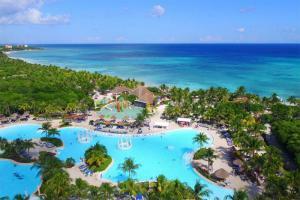 Book an all-inclusive Riviera Maya vacation today. 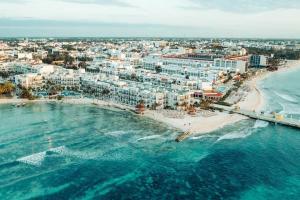 Riviera Maya Our 4-Star classification designates those properties with well-appointed, deluxe accommodations, extensive amenities and comprehensive guest services. Expect attention to detail and a warm and hospitable staff ready to cater to your needs. These superb properties offer a truly refined getaway. 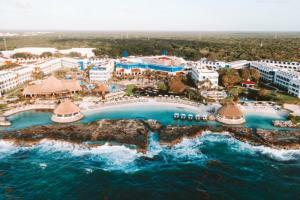 Puerto Aventuras Our 4-Star classification designates those properties with well-appointed, deluxe accommodations, extensive amenities and comprehensive guest services. 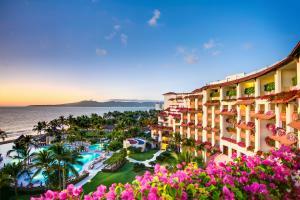 Expect attention to detail and a warm and hospitable staff ready to cater to your needs. These superb properties offer a truly refined getaway.